Get that cool JDM look with our SSR license plate relocator! Designed specifically for the 02-04 RSX, direct bolt on. Made 100% in USA from lazer cut aluminum. Will not obstruct for lights. Hardware bolts included. 2" Oil Press, 0-100 Psi, Mech, Carbon Fiber Oil Pressure Product # 4721 Size: 2 1/16" (52.4mm) Type: Mechanical Range: 0 - 100 PSI Notes: Includes 6 ft. nylon tubing with 1/8" NPT fittings. 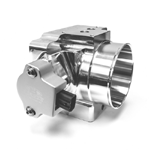 Includes 1/4'' NPT adapter/fittings. Made for Japanese license plates; requires drilling on license plate. The ultimate protection for your vehicles floor.